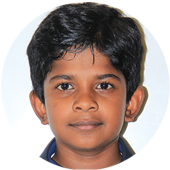 Manchester International School -CBSE- focussed to implement holistic or wholesome education to its aspiring students. takes pride in being an all-encompassing school and strongly adheres to its principles, wherein every pupil is equally important. 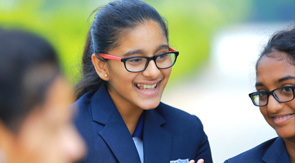 A plethora of specialised services such as the perfect balance between learning support, physical development and pastoral care is aptly tailored in accordance to every distinct student at the school. Enriching experiences in Sports, Music, Art and Drama have proved to be superlative strong points of the school during the past. Innumerable opportunities lie before the student to explore and expand their experiences for betterment and the term calendar of the school lays bare the entire facts related to wealth of activities, trips and events, in this respect. Candidly, it is not for nothing that this school holds the honour of being amongst the best schools in India. Manchester International School unrelentingly strives towards transforming the learning experiences of students into joyful episodes during their stay with our school. This feasibility could be attained by way of impeccable implementation of the inimitable teaching methodologies of the school, over the years. Life at Manchester International School -CBSE- will always remain IN A CLASS OF ITS OWN!! The rewarding exposures of students at school are bound to instil life-long memories in their minds.Manchester International School -CBSE- attributes utmost respect and reverence to this factor by way of its unswerving support and aid to every student who has the chance to pursue passions, to participate, to be part of a group and to develop confident relationships but to be unique. A unique sense of affable ambience will never go unnoticed by anyone amidst our campus. Thanks to the school’s salient features that are trained to hover on humility, we get to see students admitted in our school from various locations in and around Coimbatore. This is testament to the fact that parents and students defy the distance for Excellence. We motivate and support students to reach their goals by assuring that MIS is an environment with a special range of learning opportunities.